La Venue is a Cafe based in UK having a vast variety of items in their menu. 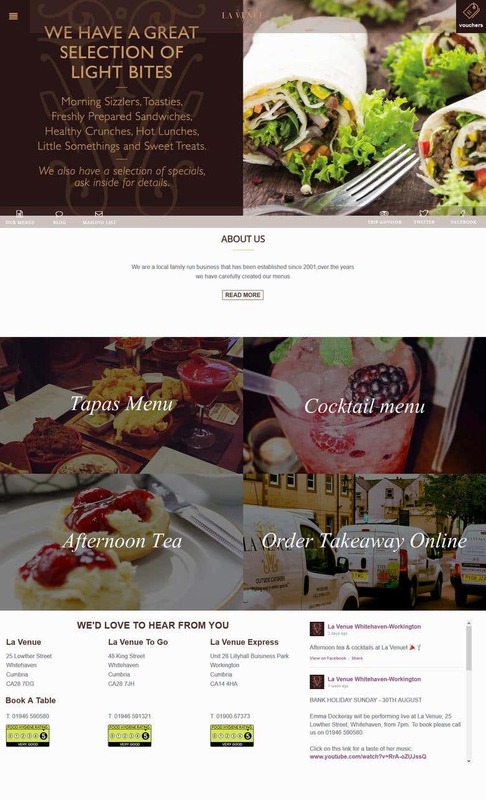 This website created in Wordpress displays their menu category wise and also places online order for food items. Gift vouchers that can be redeemed on their online orders are also offered on the website that can be directly applied before making payment for the order. Online payment is supported through paypal and credit cards. A very attractive and unique looking design has been created for this Cafe that gives a very rusty and modern look.